The average five-year old in the UK consumes around three times their recommended daily intake of sugar every day. 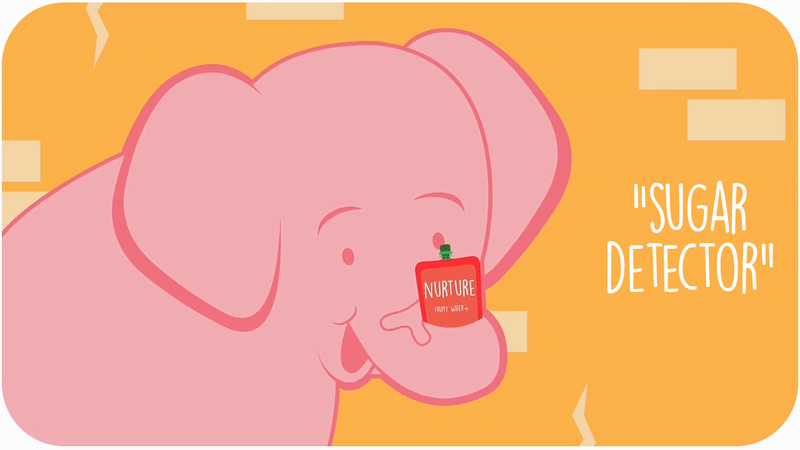 Nurture is taking the lead in promoting a healthy lifestyle from the age of one. 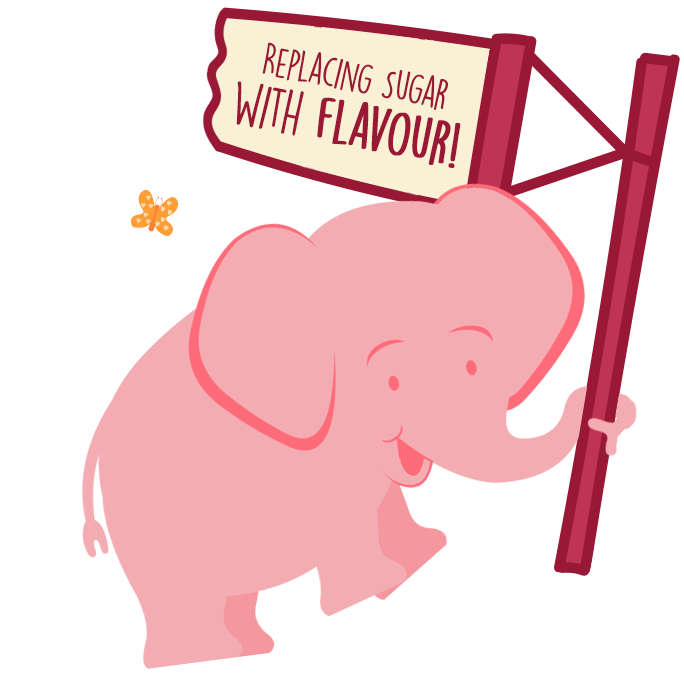 We’re on a mission to replace sugar with delicious flavour! By the time children in the UK start primary school, one in five are overweight and one in ten are obese! With tooth decay being the most common reason five to nine year olds are admitted to hospital in Britain, we thought it was about time that Firsty, our nurtured baby elephant, stepped in to make a change! Nurture Fruity Water+ contains NO added sugar, only naturally occurring sugar derived from the delicious fruit we use in our recipes to keep your children satisfied and hydrated. With only 4.3g of naturally occurring sugar per 100ml, Nurture Fruity Water+ bridges a healthy gap between ‘boring’ water and sugary fruit smoothies or fizzy drinks. At 45% fruit juice, Nurture Fruity Water+ is UK school approved, fulfilling the requirements and regulations of the government’s incentive to ensure children’s meals are yummy, balanced and nutritious! Visit ‘Our Science’ to find out how we make Nurture Fruity Water+ deliciously full of no-nonsense natural goodness! The average five-year old in the UK consumes around three times their recommended daily intake of sugar every day. Nurture Immunity is taking the lead in promoting a healthy lifestyle from the age of one. the UK Government make the decision to impose a tax on all drinks that contain over 5g of sugar per 100ml following campaigners’ efforts to fight the growing battle against child obesity. By the time children in the UK start primary school, one in five are overweight and one in ten are obese! With tooth decay being the most common reason five to nine year olds are admitted to hospital in Britain, *The Telegraph we thought it was about time that Firsty, our nurtured baby elephant, stepped in to make a change! Nurture Fruity Water+ contains NO added sugar, only naturally occurring sugar derived from the delicious fruit we use in our recipes to keep your children satisfied and hydrated. With only 4.3g of naturally occurring sugar per 100ml, Nurture Fruity Water+ falls below the sugar limit and so remains exempt from the levy, bridging a healthy gap between ‘boring’ water and sugary fruit smoothies or fizzy drinks. At 45% fruit juice, Nurture Fruity Water+ is also school approved, fulfilling the requirements and regulations of the government’s incentive to ensure children’s meals are yummy, balanced and nutritious!